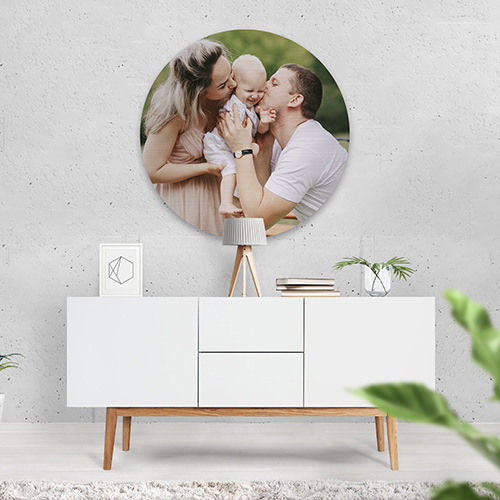 These round metal prints have a white base, so all colors in your image will be vivid and bright. They are available in four sizes - 8", 11", 16", and 20". If desired, you may add a wall mount.